As part of my 'How to Save Money' theme I will be sharing some useful tips to hosting a baby shower on a budget. Now, you may think "You've already had a Baby Shower, why are you talking about another!?" Well, I thought it would be useful to Mums to be or Aunties to be that are planning their baby shower and don't really know where to start. Ask a (pregnant) friend: Luckily for me, my friend Emily gave me her unused baby shower things that she got for her sister who went into labour earlier than expected in which left their baby shower a no-go, so this saved me a whole heap of cash. If you know someone who is having a baby shower and you are pregnant, why not ask if you can have the things that they don't use!? Make your own decorations: I'm a really hands on sort of person so made a lot of the things at my baby shower myself; including the cupcakes! All the signs for the games were made using things from Hobbycraft and the Pound shop and I thought it made it all that little more special. This meant that I could keep some of things I made too - such as the date prediction chart! Don't Splurge & Keep it Simple: Hobbycraft have some amazing little decorations starting from £1.49. 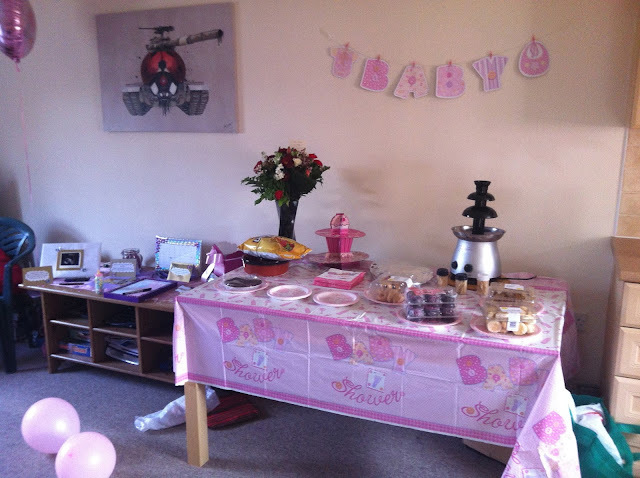 A few banners and some cupcakes is more than enough decoration if you're on a budget! Get some balloons too and you're good to go! Assign gifts to people: I know it may sound cheeky but if you are asking for certain things, assign them to certain people so you don't end up with 3 baby baths and 20 bottles of baby oil and people haven't waisted money! I know it will all come in handy (apart from the baths) but the extra bottles of lotion that your sister got could have been a towel set that no-one got! Make your own food / drink: I made cupcakes and put on a chocolate fountain as nibbles for my girls. I also made my own alcoholic and non-alcoholic cocktails with cheap lemonade and pink fizz! It cost a considerable amount less than what it would have if I had gone out and bought lots of wine / alcohol free drinks, personalised cupcakes and chocolate covered things! So, there you have it. 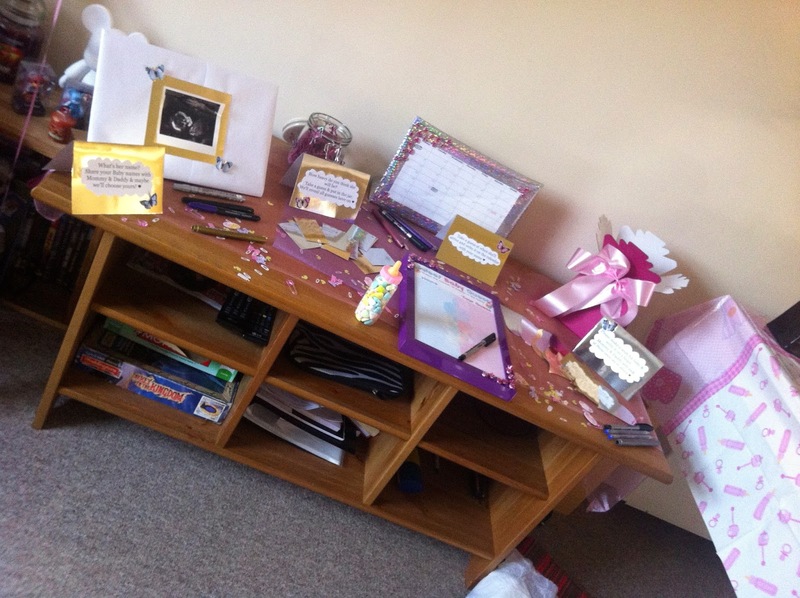 My 5 top tips when planning a baby shower!